great for the homeless population to cash in. gigi- I've seen all walks of life rummaging for the 5¢. It's quite addicting I've heard. leave whatevas... do you think they really mean that? I could imagine finding a discarded microwave or something. They said to leave whatevas. We could certainly use a few of those wire baskets around here. I'm over at peheaoe.com now. 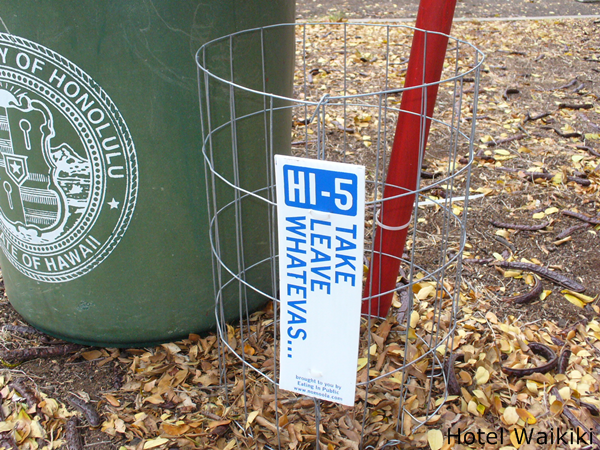 kahuku- the sign also says "take," so somebody might misinterpret it and appropriate it for their garden, vines. Kay- this is as basic as it gets, otherwise people might vandalize them. There are more designer models on Kalakaua Ave. adjacent to city trash receptacles. I read it as take or leave whatevas. 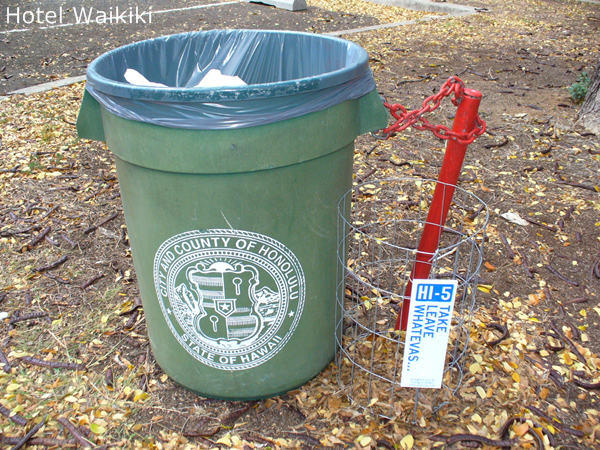 kahuku- well, they meant recyclables (HI-5¢), but with all the third world people that abounds, they might take the wire cage to use as a wastebasket.